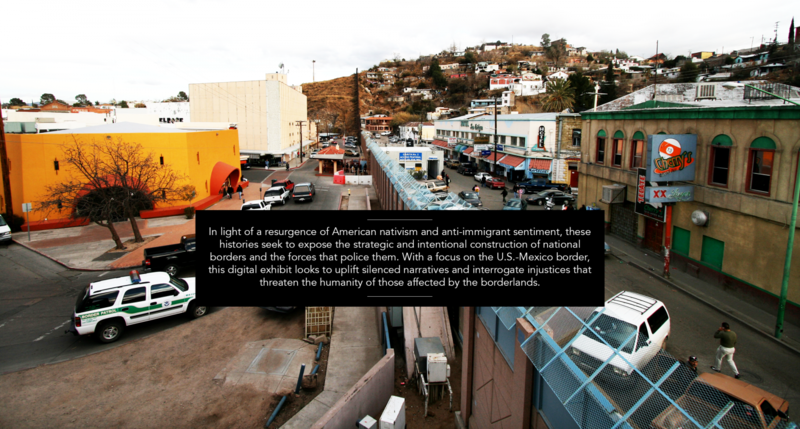 Students in the Fall 2015 junior seminar Race and Remembering compiled this digital exhibit, Forgotten Histories of the U.S.-Mexico Border, to illuminate historical and ongoing anti-immigrant and anti-Latinx violences through a focus on the U.S.-Mexico border. It will expose processes of colonization, racialization of Latinx populations, and policing that are fundamental to its history and legacy. The violent nature of border policing continues to spill over into communities throughout the United States. The broad scope of institutional racism and policing regimes affect immigrant communities at Brown, in Providence, and throughout the nation. In the spirit of Brown’s mission, we take seriously the call to serve the community, the nation, and the world by preserving urgent histories of the border. We call on Brown University to uphold its mission statement by acknowledging the ways in which histories of borders impact the daily lives of members of the Brown community. Through this exhibit, students hope to confront the injustices, both past and present, that threaten to eclipse the humanity of those living in the borderlands and in its shadow. Attempts have been made to properly use and cite all content.